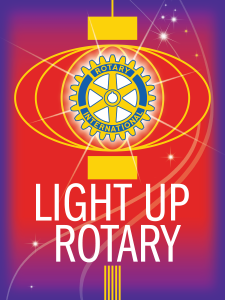 How will you Light Up Rotary this year? Hosting a Rotary Day is a great way for clubs to put the President’s theme into action. It’s simple: hold a fun, informal event in your community to introduce the general public to Rotary and drive interest in membership and other opportunities for engagement. You can refer to the Rotary Days brochure for ideas on how to structure and promote a Rotary Day event and find more tips in this article from the July edition of Rotary Leader.